Useful Links — Call Andy! Apple — Home page of our favorite company. Amazon.com — We have simplified the search for commonly needed tech equipment. Why Use Cat 6 Wiring? — We recommend only using Cat 6 data wiring for your home or office. This handy article explains why this is such an important choice. G Suite — Professional email, online storage, and more. Choose your G Suite plan. The first 14 days are free. DriveSavers — we hope you never have to use them, but in the event of a hard disk failure, malfunction, or damage, they are your best chance to recover valuable data. And if you happen to have some time to waste, here's something entirely useless: Welcome to the wonder that is VR Andy! 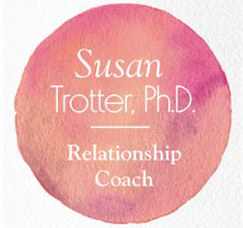 Susan Trotter, Ph.D. — Relationship Coach with specialties in divorce, dating and relationships, self-esteem, mindset and communication.